CNAs make up the second-largest group of nursing professionals in the Sebastian-Vero Beach area, with more than 600 members averaging $25,050 annually, and $27,340-$31,250 for high performers. Expected employment growth for CNAs is 11% over the coming decade. The third largest group of nursing professionals is LPNs. The area is home to more than 200 LPNs averaging $40,640, with high performers earning $45,810-$50,230. Expected employment growth for LPNs nationwide is 12% over the coming decade. Besides competitive salaries and a positive employment outlook, graduates of programs at the best schools for nursing in the Sebastian-Vero Beach area, Florida, will have the opportunity to work at major area hospitals and medical centers such as Sebastian River Medical Center, Indian River Medical Center, and Lawnwood Regional Medical Center & Heart Institute. These top healthcare centers routinely recruit from the best schools for nursing in the metro area. 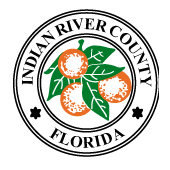 Indian River State College (IRSC), Technical Center for Career & Adult Education (TCCAE), and the School District of Indian River County are just a few options. Program offerings are ample with IRSC providing associate’s degree in nursing (ADN), bachelor of science in nursing (BSN), LPN, and CNA programs. TCCAE and the School District of Indian River County also offer LPN and CNA programs. If you want to jumpstart your nursing career, all you have to do is locate the best nursing schools, then choose a program. We’ve compiled below a list of the best schools for nursing in the Sebastian-Vero Beach area, Florida, to help you get started.